In What I Did With My Summer Vacation we explore shows you should catch up on during TV’s slowest season. 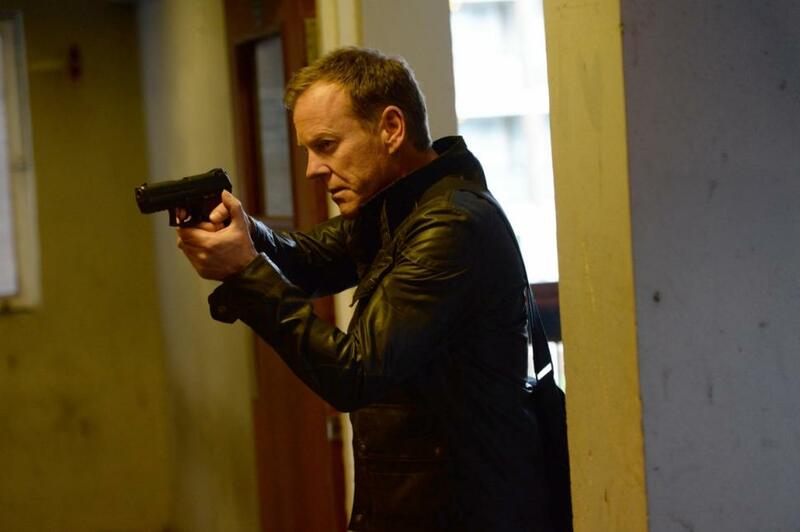 This week: 24’s triumphant return to television and when a half-season is just right. When 24 was cancelled back in 2008, well, the word “cancelled” actually meant something. Thanks to digital streaming services and Kickstarter, now nothing is truly final on the TV landscape, which is great when shows like Arrested Development meet their end too soon, but it can be a little alarming when shows like 24 end. It could come back, and who knows what it would be like. On paper, renewing 24 for another season six years after it left the airwaves seems like a huge mistake. It seems like something that Fox devised to cash in on a once-beloved show to rake in some ratings and advertising revenue when other networks were burning off remaining episodes of the nonsense that didn’t make the cut this year. It’s a no brainer. Put Kiefer Sutherland on screen, let him yell and blow things up for an hour, and it’ll pull in an audience. So when I found out one of my once-favorite shows was coming back I was… cautious, at best, in my expectations. Anyone who has seen the show knows the dip in quality the final seasons had. The show had run out of ideas. The gimmick, 24 hours of real time drama, had been exhausted. Hell, it had been exhausted as early as season one when the now-expected cliches were used for the first time. But Sutherland’s acting and some genuinely smart storylines kept the show going. And going. And going (cue clock ticking sound here). Then, in 2014, 24 finally realized that it didn’t need to be a gimmick. It could just be itself. And that’s what happened this summer. It almost seems like a coming of age story, for a show’s legacy. The writers decided to throw the 24-hour real time aspect to the curb. The season was 12 episodes, and the focus wasn’t “OK, how can we make this one long day that keeps the clock ticking?” it was “Alright. What do people love about this show that has nothing to do with the clock? Yeah, let’s go with that.” The show decided to invest its time in the most beloved aspects: Jack Bauer being an unrelenting badass, Mary Lynn Rajskub’s fan-favorite character Chloe O’Brian hacking every conceivable piece of technology known to man, and a sense of escalation that didn’t need to be calmed back down every five hours to figure out what the hell to do from here. Not to belabor my point on viewing the show’s lifespan in the sense of yours or mine, but 24 is finally done living in its high school years. It has its own identity now that has nothing to do with the number 24 other than that’s… just what people called it. It isn’t beholden to what it used to be. It held on to the best part of its past and it grew up, got a job and a 401k, and finally started using that treadmill that’s been gathering dust for years (but kept that beat up sofa it loved). You can watch 24 on Amazon Instant Video or Fox’s website. It may or may not get another season/mini-series/movie/animated cartoon.